Independence Day is next week! That means it’s time to make plans for our BBQ and firework celebrations. There are many amazing pyrotechnic shows in Miami. The trick is to find a comfortable spot where you can enjoy them with your friends and family. 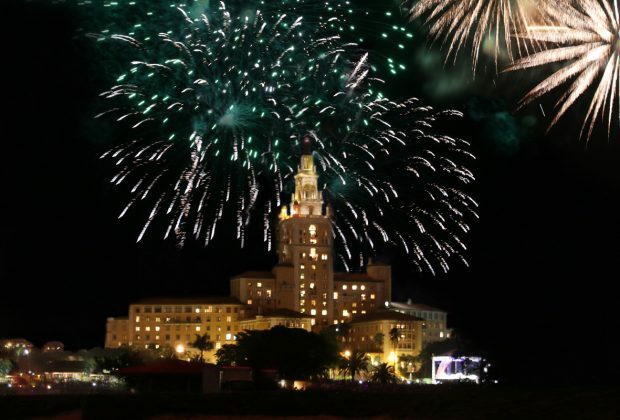 Lucky for you, we have the top places to catch this year’s 4th of July fireworks! Read on my friend. 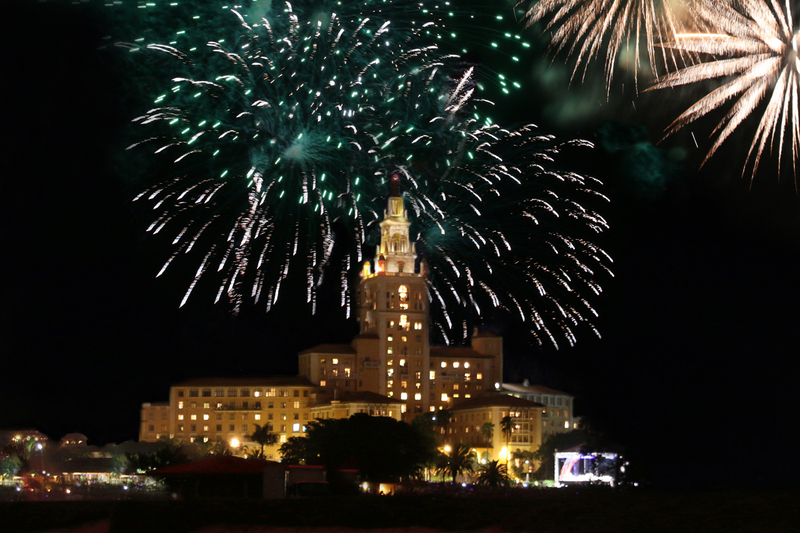 Colorful fireworks will fill the night skies over Coral Gables this July 4th. 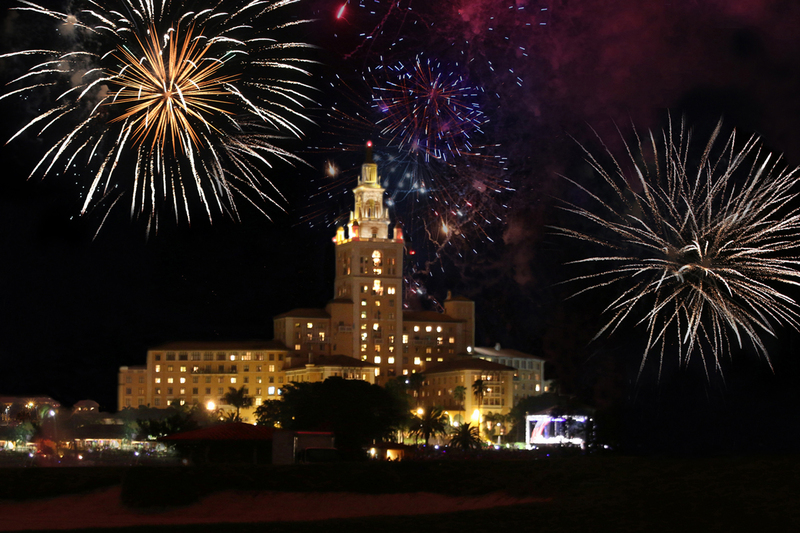 Enjoy a special concert by the Greater Miami Symphonic Band, concessions and a spectacular fireworks display. CBS4 evening newscast anchors, will act as the Masters of Ceremony at this year’s Independence Day celebration on Monday, July 4th. Grounds open at 5 p.m., live concert at 7 p.m. and fireworks show at 9 p.m. at The Biltmore Hotel located at 1200 Anastasia Avenue. 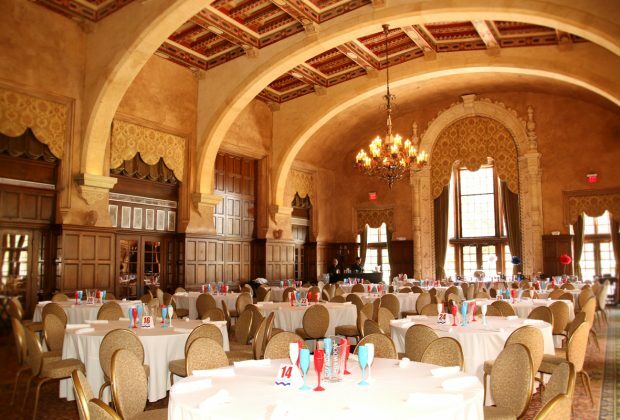 Parking: The City will offer free parking and continuous shuttle service throughout the evening to and from the Biltmore Hotel. Shuttle service begins at 5 p.m. from the following locations. 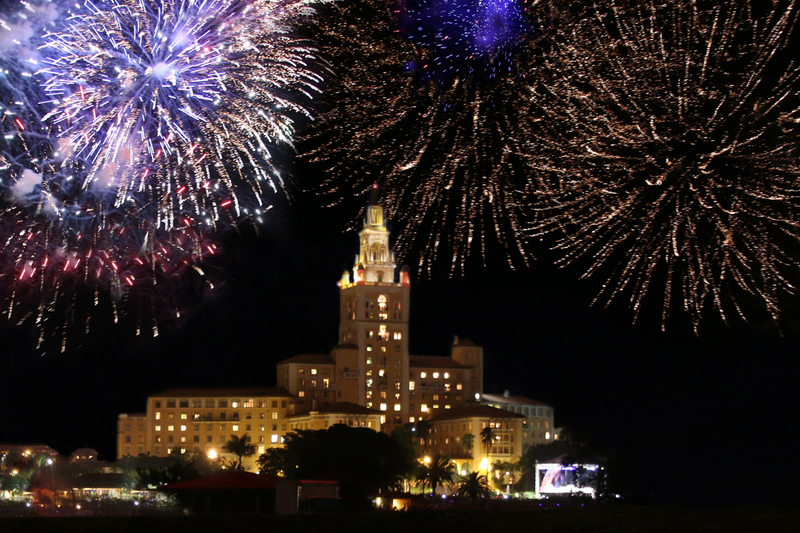 The last shuttle will depart for the fireworks at 8:15 p.m.
Bike Valet from 5:00pm – 11:00pm: Trade four wheels for two this Independence Day, and ride your bike to the Biltmore Hotel to enjoy the fireworks celebration. The easy, secure, and complimentary Bike Valet Parking service is provided by Green Mobility Network. The bike valet will be at William H. Kerdyk Biltmore Tennis Center the located at 1150 Anastasia Ave. 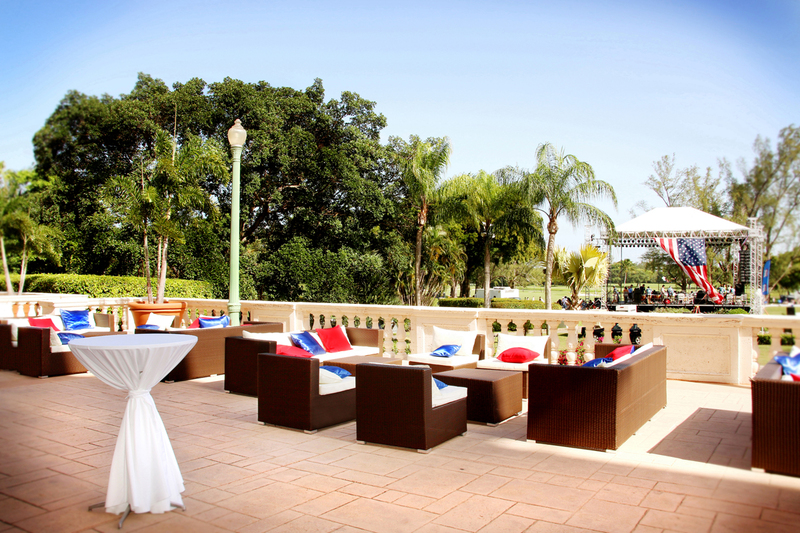 The Biltmore Hotel will be hosting a VIP party open bar from 5:00pm – 9:45pm offering cocktails, domestic beer & wine. Plus a stars & stripes BBQ dinner from 6:00pm – 8:45pm. The fireworks display begins at 9:00pm. Tickets are $180 for Adults and for $50 Children (12 and under). 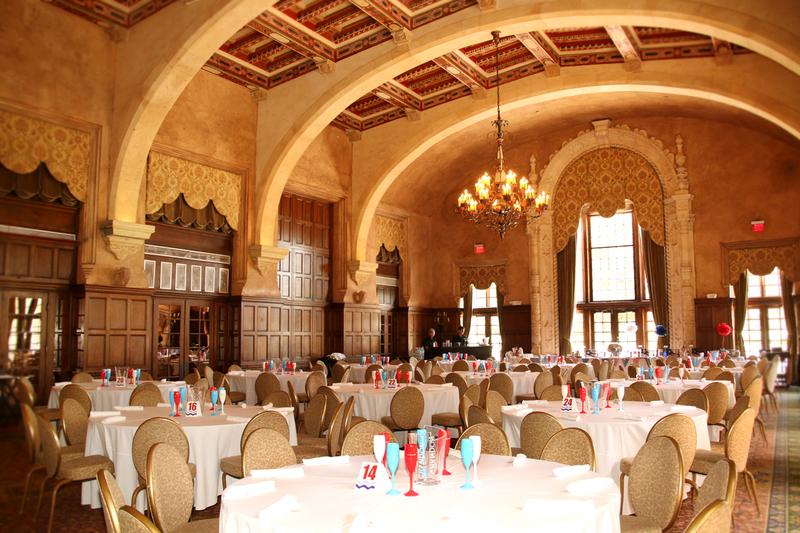 For reservations 305 913-3244 or july4th@biltmorehotel.com. 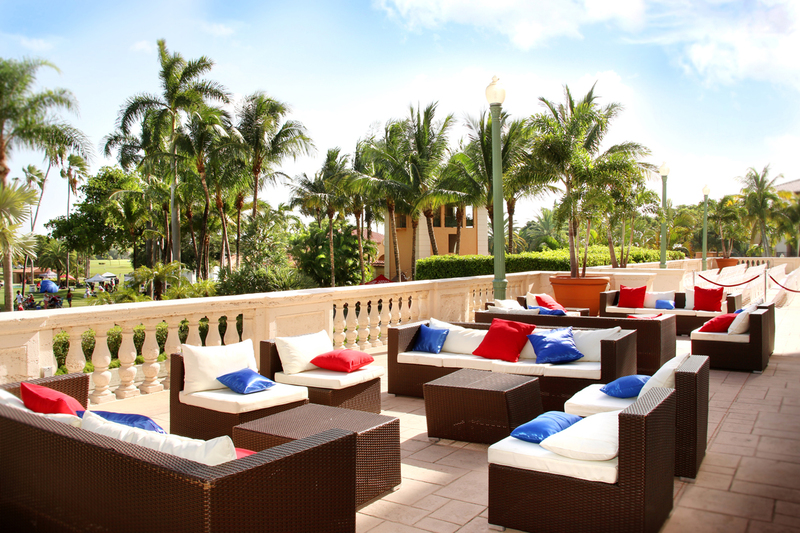 Artisan Beach House at The Ritz-Carlton Bal Harbour is inviting guests to the ultimate VIP Fourth of July soiree. 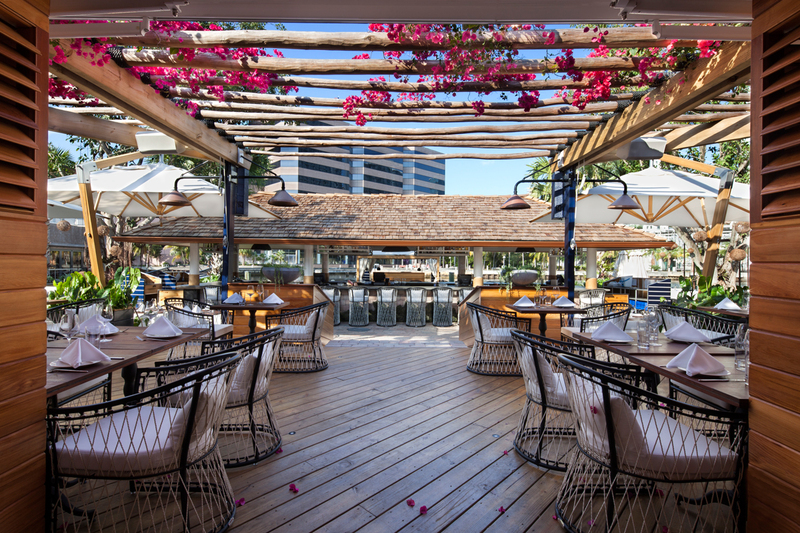 For $150 per person, enjoy a night on the restaurant’s waterfront terrace with front row views of a spectacular fireworks show, passed appetizers, choice of entrée and open bar/bottle service from 7PM to 10PM. Guests are then welcome to head down to the hotel’s pool area to enjoy drink specials and watch the fireworks display from the beach. Space is limited and reservations are required. For more information or to make a reservation, please email res@artisanbeachhouse.com or call (305) 455-5460. 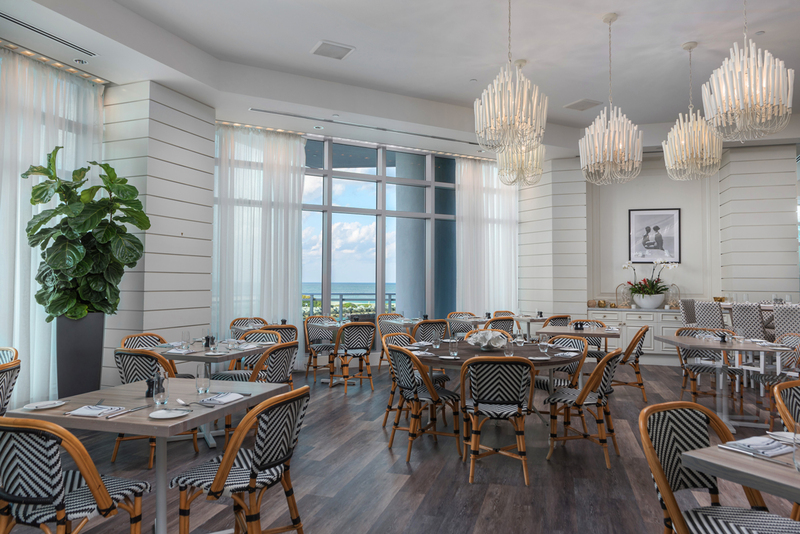 Artisan Beach House is located at The Ritz-Carlton, Bal Harbour – 10295 Collins Avenue. Valet is $5 with validation. River Yacht Club, the premier lifestyle oasis located on the Miami River, will host a special Fourth of July edition of their popular ‘Rock My Boat’ brunch party, with entertainment provided by one of RYC’s resident DJs. Celebrate Independence Day with their a la carte brunch items including Lobster Benedict with Maine lobster, house-made toasted bread, poached egg and saffron hollandaise; Grilled Skirt Steak and Eggs served with potatoes and saffron hollandaise; French Toast with berries and Crème anglaise and a variety of other brunch delicacies, paired with any of their throwback cocktails like the Gin -N-Juice. Brunch reservations are available from Noon – 5PM. 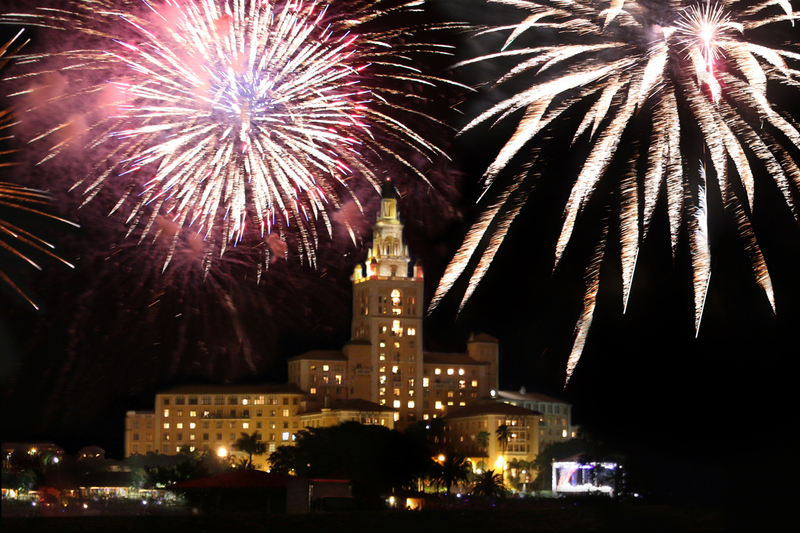 The restaurant will remain open until 11PM that evening for those who want to view the fireworks show from the beautiful Miami River. River Yacht Club is located at 401 SW Third Avenue on the Miami River. To book reservations, call (305) 200-5716. 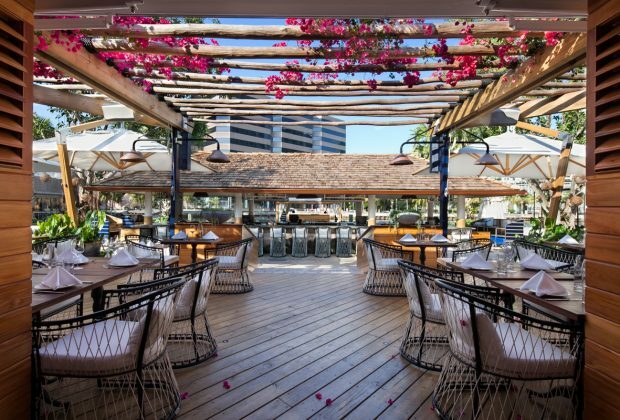 Rusty Pelican, known for its dazzling waterfront views, is inviting diners to join them for their top floor Fourth of July celebration. For $55 per adult (including two drink tickets for beer or wine), and $25 per child, enjoy an evening of live entertainment, dancing, dining and party favors with the most outstanding views of Miami’s fireworks over Biscayne Bay. From 7PM to 10PM, indulge in a lavish dinner buffet including A1 Potato Salad with garlic aioli, cilantro and onion; Grilled Mahi-Mahi with mango and papaya salsa; St. Louis BBQ Ribs with whiskey barbecue sauce; Garlic Crusted Prime Rib with balsamic chimichurri; Grilled Yellow Corn with Parmesan chili butter and Cotija cheese; Homemade Mac & Cheese with aged cheddar, smoked gouda and grated parmesan; and decadent desserts including a Homemade Mini Apple Pie made with Granny Smith apples and brandy and Key Biscayne Pie with a graham cracker crumb crust and key lime curd. 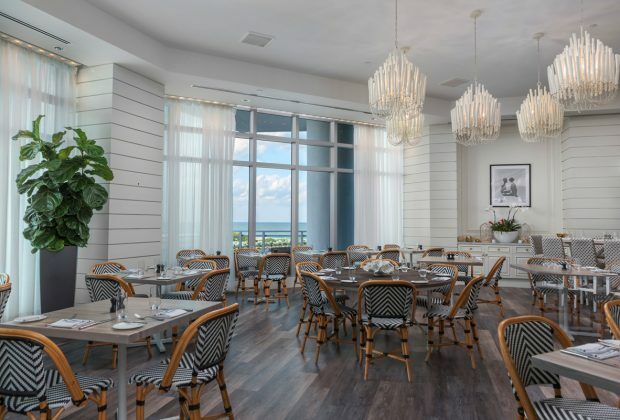 The Rusty Pelican is located at 3201 Rickenbacker Causeway in Key Biscayne. 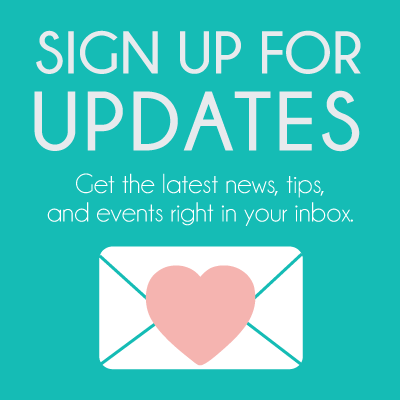 For reservations, please call (305) 361-3818 or email rareas@srcmail.com.